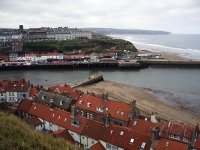 Runswick Bay is a gorgeous fishing village just North of Whitby. The beach is sandy and safe for children. 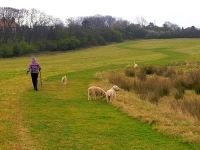 You can walk along the cliffs from here to other villages. It is very picturesque and well worth a visit for the day. 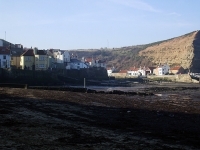 Staithes is just up the coast from Runswick Bay, another fishing village with an attractive harbour. It doesn't have the beach like Runswick Bay but it does have a lovely pub right next to the sea. Staithes has connections with Captain Cook and the museum is well worth a visit. 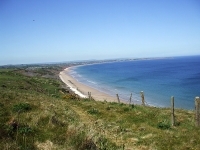 Scarborough is huge compared to Filey and there is plenty to do. There are beautiful gardens and houses close to the cliffs, excellent shops, a cricket ground for watching our beloved Yorkshire team, fabulous traditional entertainment for children and adults alike and there is quite a surfing scene for the more adventurous.